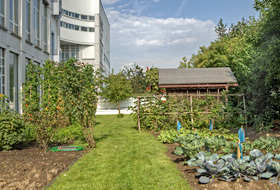 In order for market gardening to work in an extreme location such as a rooftop, however, all relevant factors must be taken into consideration. 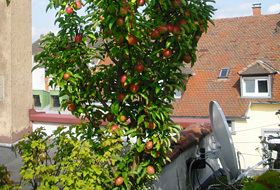 For this reason, ZinCo has created the permanent reliable system build-up “Urban Rooftop Farming”. The drainage element Floradrain® FD 40 is at the heart of this build-up. 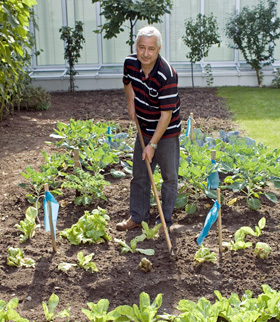 With about 20 cm of ZinCo system substrate, this build-up is suitable for growing many different types of vegetable and fruit for example lettuce, onions, herbs, courgettes, aubergines, pumpkins, cabbage, melons and strawberries. A somewhat deeper substrate layer (28 to 40 cm) is required for tomatoes, French beans, raspberries, blackberries, currants and the like. 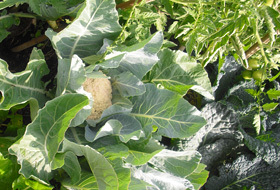 The level of irrigation and fertilisation required will depend on the vegetables to be grown and local climate conditions. 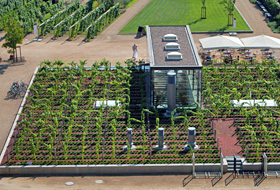 What may initially appear to be futuristic can become reality if the correct technical expertise is applied – growing vegetables on a roof. 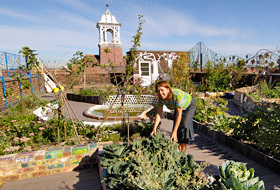 Urban roofs are providing new fields of activity - as farmland or gardens where we can experience nature at first hand or social areas where the community can come together. 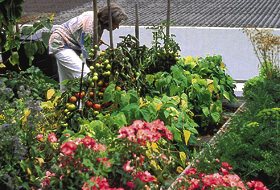 Whether it’s on a small or a grand scale, for private or commercial use, there are many benefits to urban farming. It is also a way of addressing the lack of resources and farmland that has resulted from increasing urbanization.